Collette Hanna is the Communications Manager for the Strategic Plan for Economic Development. In her role, she creates programs to effectively communicate the seven (7) goals of the Plan and promote its awareness and success to partner organizations, residents, and businesses throughout LA County. 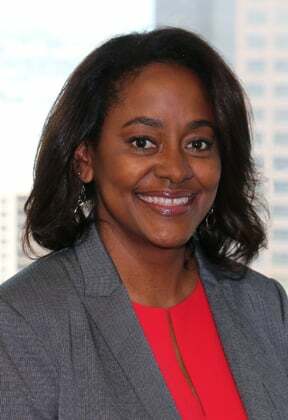 Collette comes to the LAEDC with experience in both marketing and economic development. Her career started in tech marketing with a start-up company in the Bay Area, where she managed the channel marketing program, increasing brand awareness among channel partners. She later moved to the product division managing a $4 million marketing, PR, and international marketing programs budget. She launched the company’s first webinar, garnering a 99% attendance rate. After returning home to Southern California, she learned of and developed a passion for economic development and for communications programs to build community brands. As Business Development Manager for the City of Victorville and with the Victor Valley Economic Development Agency, Collette’s award-winning marketing programs created community brand identity and awareness resulting in the site location of small businesses and Fortune 500 companies including Dr. Pepper Snapple Group and Church & Dwight, creation of over 400 jobs, and expanded the advanced manufacturing, logistics, aviation, and retail industries in the region. She continued work in the Inland Empire with the City of Riverside as Economic Development Marketing Manager, launching the city’s branding style guide, and managing tourism and downtown programs. Following that position, Collette worked as Community Outreach Manager with Downtown Santa Monica, Inc., the largest business improvement district in California. While there she successfully worked to add a new region to the district, collaborated with local partners and the tech community to launch the city’s first civic hackathon, and introduced psychographic data research for more effective economic development strategy development within the organization. Collette holds a B.A. in Economics from San Diego State University and an MBA from Pepperdine University. She does volunteer work with the GRYD Foundation and with programs to increase social and economic equity in underserved communities.